© copyright still exists on logo & photo's. Formally of: Hoylake & Thurstaston, Wirral, & Llandudno Junction N. Wales. 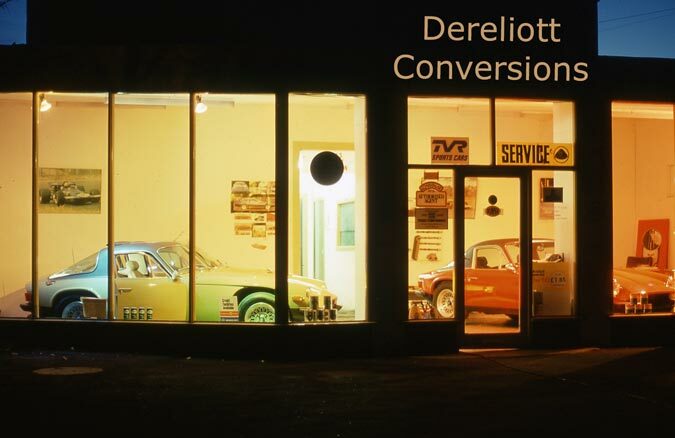 This web site is about the history of Dereliott Conversions. 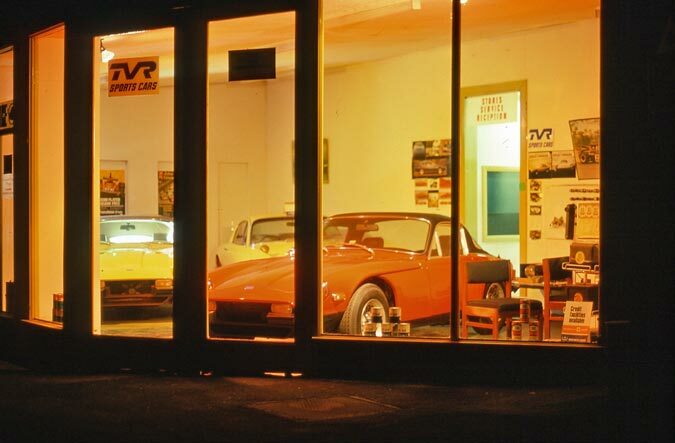 This specialist car dealership was set up in 1969 by two motor enthusiast friends Derek Morrissey and John Elliott but even though they closed down back in the early 1980's to enable them to pursue their individual business interests, to this day they still remain a topic of conversation around the world. 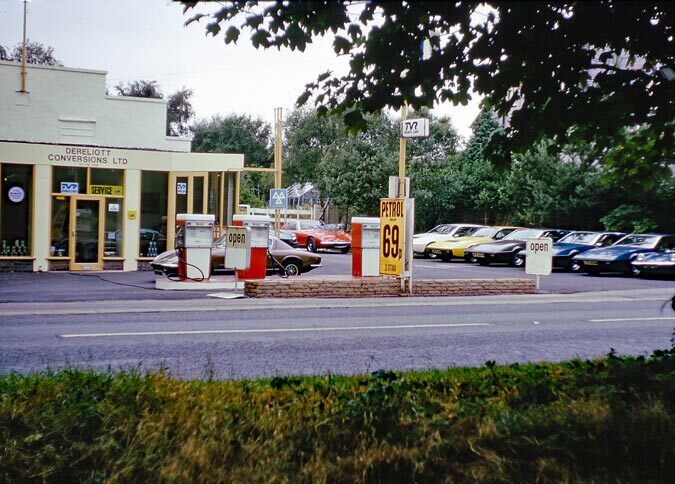 The sports cars they sold then are the classic cars and collectors cars of today. 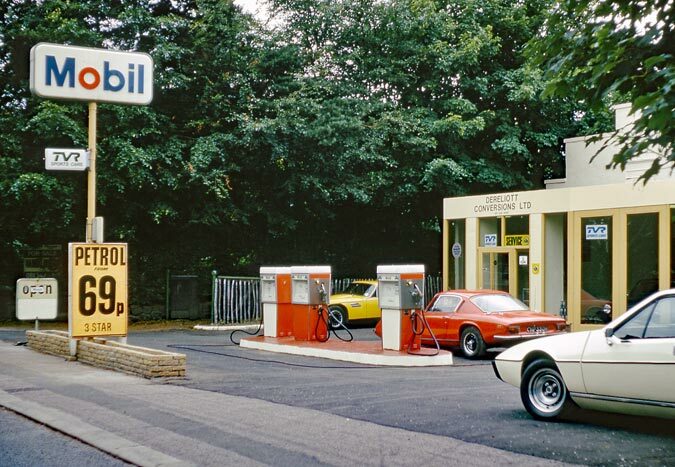 Main Dealerships held: Lotus, TVR, Scimitar, Maserati, De Tomaso, Lancia. Live Chat or Leave a Comment or Contact Us, see links below. 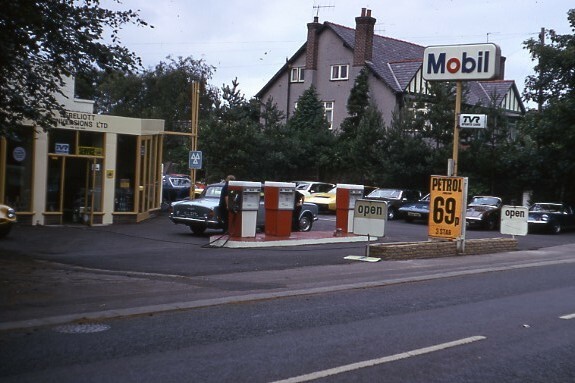 The original showroom at Thurstaston which was later extended rearwards. Classic Cars, Lotus, TVR, Maserati, DeTomaso, Scimitar, Lancia. Classic Sports Cars. Garage in Thurstaston Road, Thurstaston, Wirral. 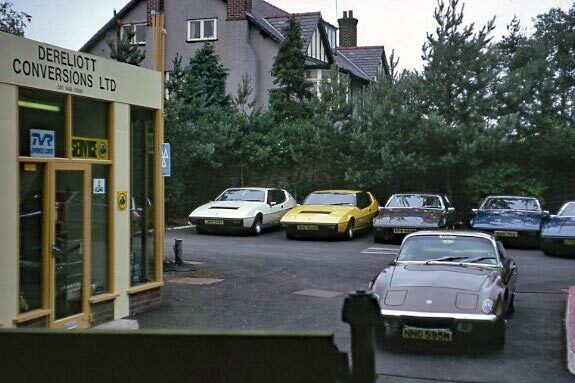 Sports car garage Thurstaston Wirral. 122d Market Street, Hoylake, Wirral. 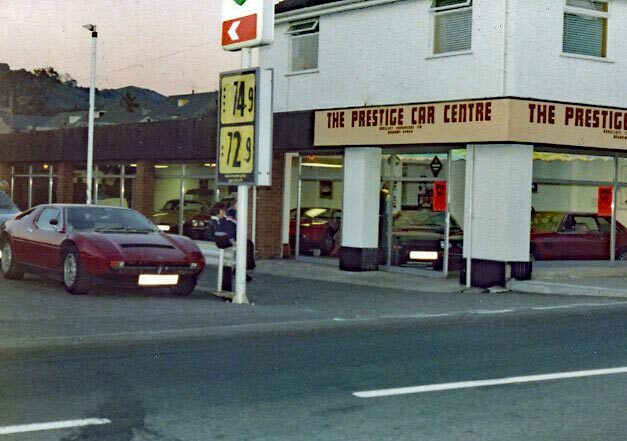 Lancia Dealers Llandudno Junction North Wales.